Heartland Burrito Spreading the "Tube Love"
FEAST! fans first met Kyle Sieck (pronounced SEEK) at the very first FEAST! in 2014. In the past few years he has grown his business, which involves not just a range of unique, vegetarian "burrito" wraps both savory and sweet, across a range of flavor profiles. He also operates a food truck, traveling to events and spreading the "burrito love" (he also calls them "tubes") and offers a catering service, Local Burrito Catering. Kyle sources ingredients locally, and some of his victories are shared via his fun social media presence. Potatoes, peppers, and tortillas are among the local products he has proudly displayed as they're prepped for processing. FEAST-goers this year should definitely seek out his booth to sample them, and see what a burrito can be! 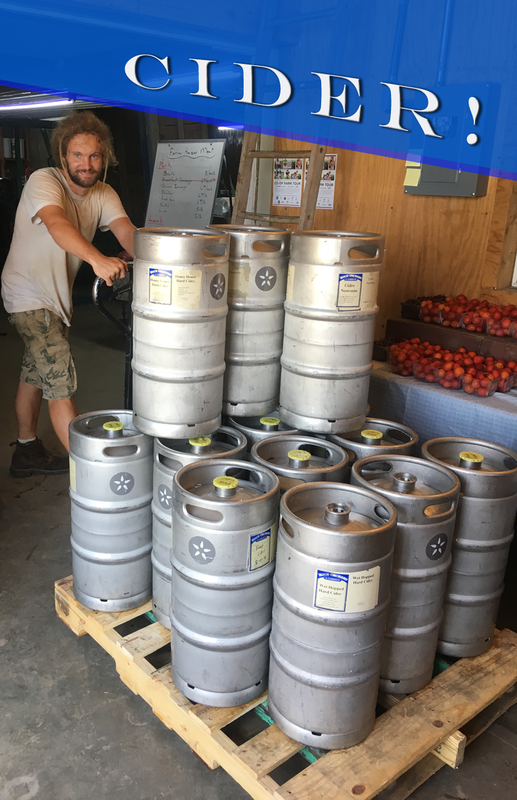 Kyle recently dropped off his first order to the Iowa Food Co-op and also provided them with a chest freezer to show his appreciation for the new account—and to store his stock! He shared this photo on his social media pages. Raise your hand if you've been to Lanesboro, Minnesota, about 40 miles Southeast of Rochester! 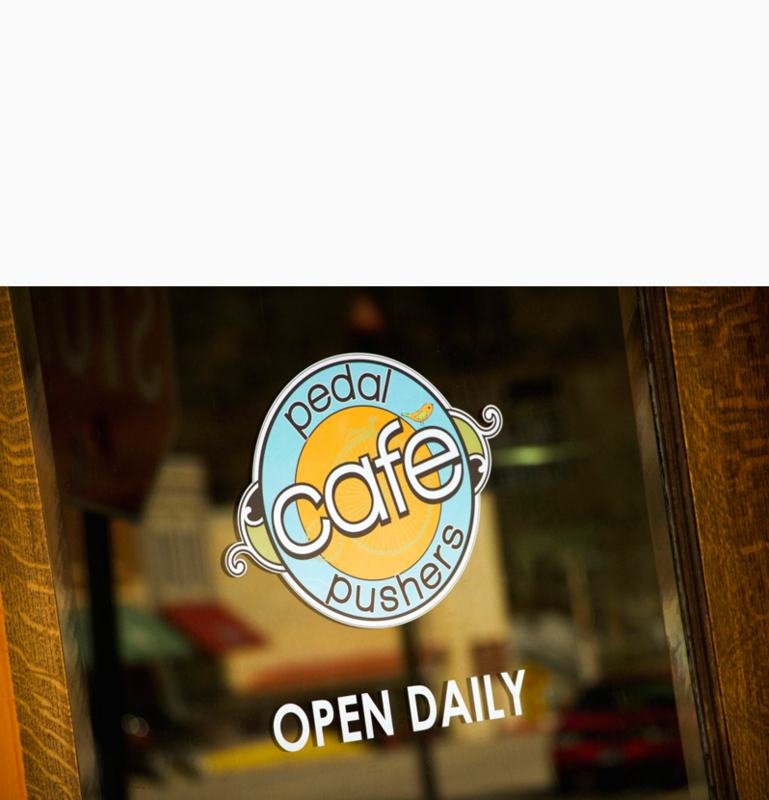 If that's you, then you're surely acquainted with the Pedal Pushers Café—run by power couple Angie and Scott Taylor. 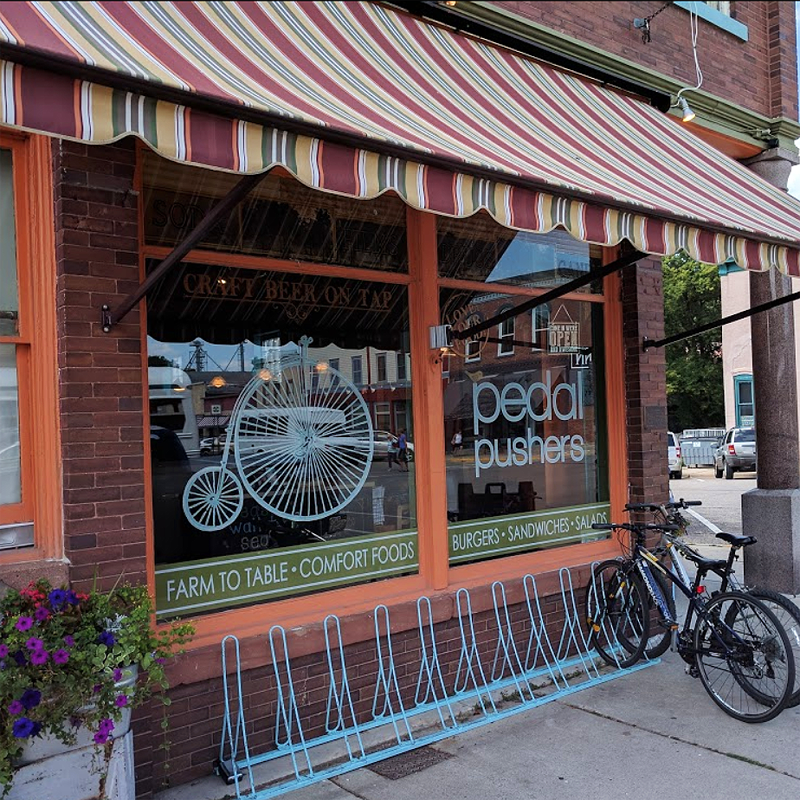 Fierce proponents of local food, they have long-standing relationships with the businesses they work with, and appreciate the ability to be creative with their ordering. Speaking to me while driving back from picking up a bulk order from Sno Pac Foods, Scott said, "The challenge with local foods is always getting the food to your door." Whether by UPS, Spee-Dee Delivery, fellow local business WW Homestead Dairy, or their produce supplier, Jolivette Family Farms, Scott says they appreciate coming to FEAST! each year because, "for a number of the local vendors I use regularly, the FEAST! show is the only chance I have to talk with them face-to-face. It's also an opportunity to think about new products and how they might fit into new menu offerings." Hoch Orchard and Gardens is a biodynamic farm in La Crescent, the heart of the Apple Capitol of Minnesota. They’re currently harvesting mid-season apple varieties such as Zestar, Wealthy, Gala, and Cortland, with late season apples like Haralson still to come. Find them at the Cameron Farmer’s Market in La Crosse on Saturdays—OR—better yet, visit the farm! Visitors are welcome on Saturdays in October, 11am-4pm. At the Hoch farm you can take a walk through the orchard, visit with the pigs and sheep, chat with workers, and—best of all—taste the apples and hard apple cider. At any given time they have about 10 hard cider varieties and will be happy to pour you some samples. PLUS, you can take home a 4-pack of your favorites! Also available are pork and lamb products, vinegars, jams and jellies, Grampa Jack’s Creamed Honey, and of course, apples! Another way to catch up with Hoch Orchard products is to visit their booth at the FEAST! festival, Dec. 1 in Rochester. 1. Cook bacon in a 12-inch cast iron skillet, until crisp. Remove and drain, while reserving drippings in skillet. 2. Sprinkle pork chops with 1 tsp salt and ½ tsp pepper. Add chops to skillet and cook until browned on both sides. Remove from skillet. 3. Add cabbage, apple, and onion to skillet and cook until crisp tender, stirring frequently. Add hard cider, mustard, and remaining salt and pepper, stirring to combine. Top with pork chops, cover and cook over medium-low heat until tender, 15-20 minutes. Sprinkle with bacon and serve with a chilled hard cider of your choice! What's your favorite thing about FEAST!? What do you like best about coming to the FEAST! Local Foods Marketplace? Watching & sampling at the cooking demos? We'll be thrilled to announce the winner in our next newsletter along with the results! What about the prize, you ask? This time, the winner will be treated to a 16 oz. 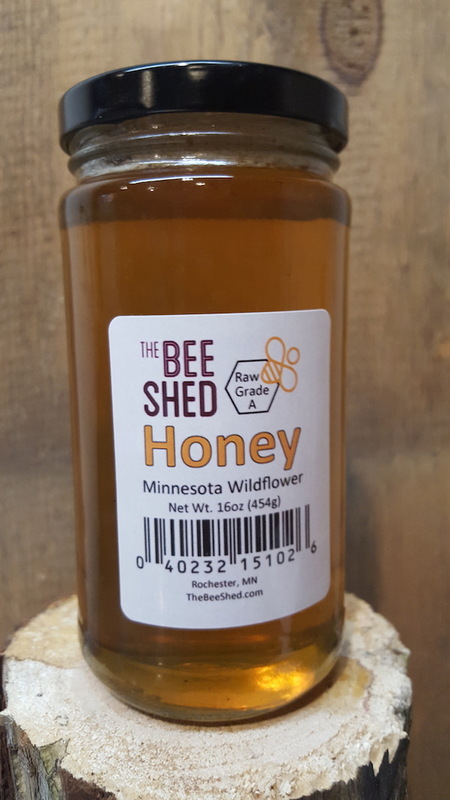 jar of Minnesota Wildflower Honey from The Bee Shed! Besides providing local honey, beekeeping equipment, and information, The Bee Shed is also about contributing to community and the beekeeping industry. They are the first beekeeping operation in Minnesota to define their corporate structure as a Specific Benefit Corporation (SBC). This structure enables a business to legally and publicly declare that their business decisions will contemplate public good as well as profit, making a commitment to deliberately and transparently advance a specific public good. Thanks to those of you who shared what you've discovered at FEAST! 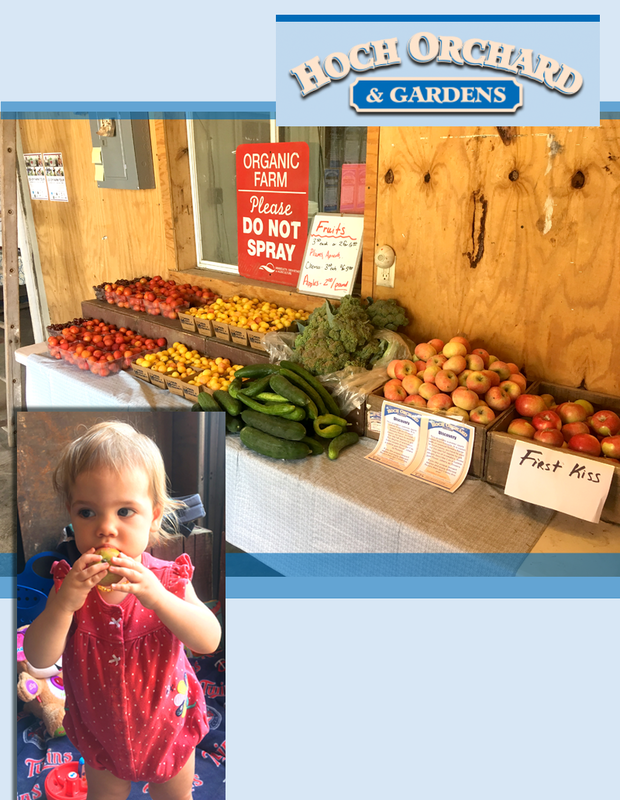 Samantha said she has discovered lots of great local foods at FEAST!, including Mama Stoen's baking mixes. She also found some beef jerky that she now buys at Hy-Vee, and her dad took a liking to Sno Pac veggies that they now buy at People's Food Co-op. That's AWESOME! What else makes FEAST! special for kids? 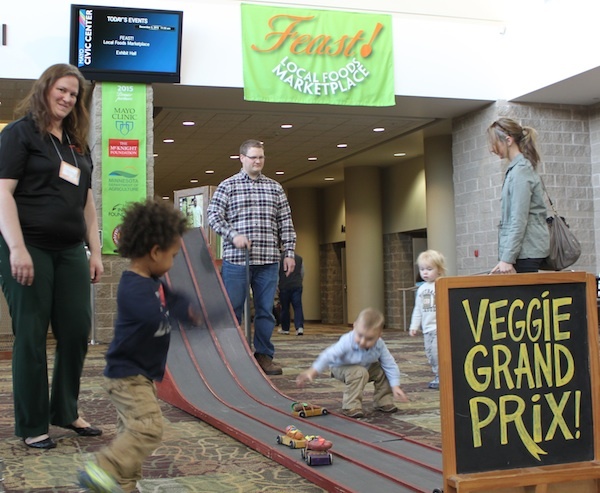 We're always working on fun activities for kids at FEAST, but kids can enjoy the food sampling as well! Having your kids sample something before you buy it is a win-win. Did you attend FEAST! with a child who enjoyed sampling some new foods? We'd love to hear about it. Email elena [at] local-feast.org if you have an experience to share! Among the collaborators integral to the FEAST! Network are those who assist with planning the educational/networking part of the tradeshow—to help our regional businesses grow. 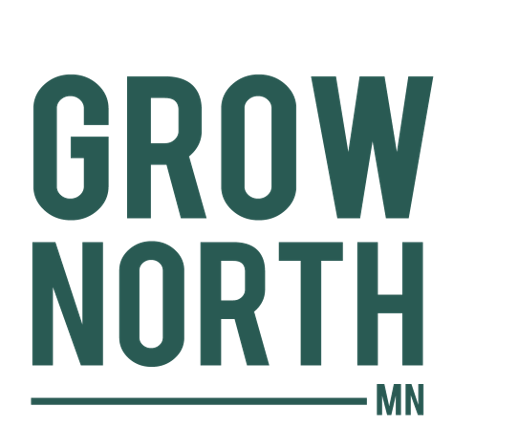 Enter Grow North MN, a "resource and connection hub for Minnesota's food and agriculture entrepreneur and innovation ecosystem." Grow North fosters thought leadership in many ways. One example is the directory they host, the Resource Navigator Database, which is a searchable, categorized listing of technical assistance providers available to consult with food entrepreneurs. 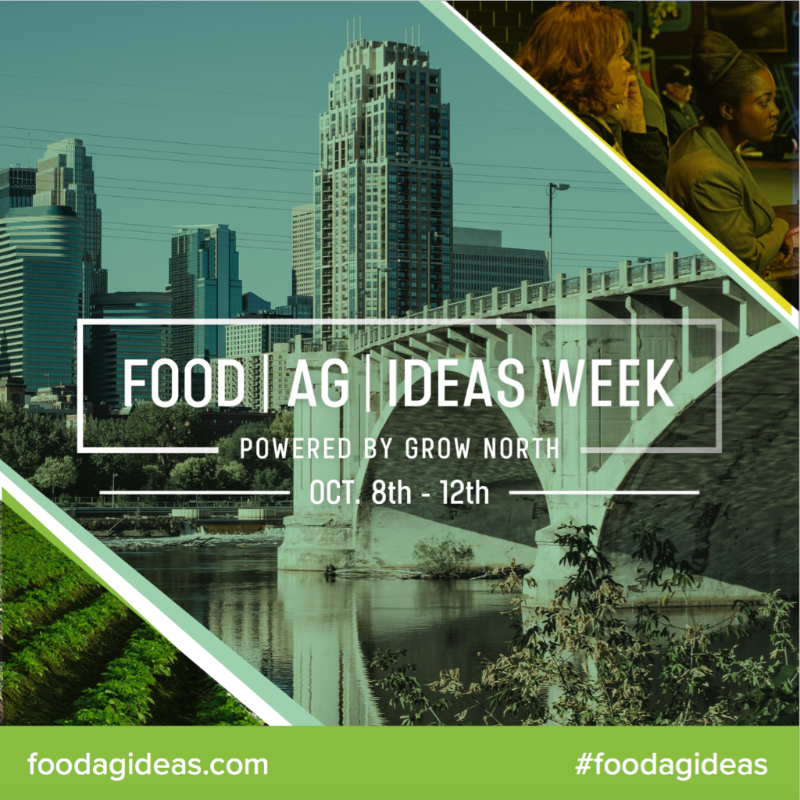 Another example: the first Food | Ag | Ideas Week (FAI) is set for Oct 8-12, 2018. It's 5 days of individually ticketed panel and speaker sessions, structured networking, meet + eat roundtable lunches, and signature events to drive visibility, connectivity, and engagement in Minnesota's entrepreneur and innovation ecosystem. This is a platform for entrepreneurs, Fortune 500 business leaders, growers, innovators, investors, nonprofit and for-profit thought-leaders from across food and agriculture to come together on industry leading topics across sustainable agriculture, food innovation and tech, and food and society. FEAST! applauds and appreciates this work, bringing people together to strengthen and improve our regional food system! The FEAST! Local Foods Marketplace is a production of the FEAST! Local Foods Network, which is always open to new members. Founded by Renewing the Countryside (RTC) and Southern Minnesota Initiative Foundation (SMIF), both the Network and the Marketplace depend on collaboration with partner organizations and individuals. The Network supports local food growers and makers by boosting access to financing, peer networking, and sales opportunities. We welcome you to share this newsletter with the buttons below.